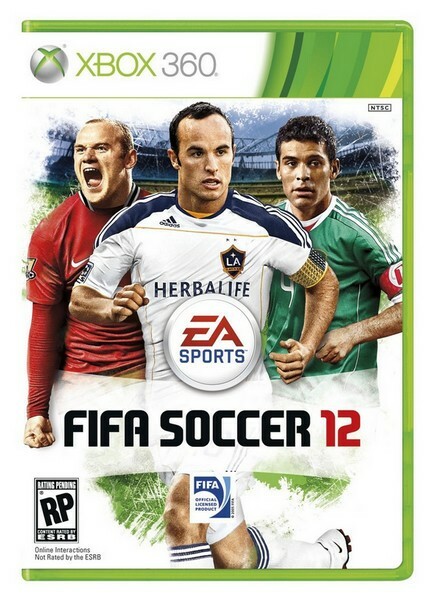 While it has been know for a quite a while that Wayne Rooney was going to be on the cover of all copies of FIFA 12, the question has been who would join him in the US. Today we got that answer. LA Galaxy star, and most notable American born player today, Landon Donovan will wear his LA Galaxy Herbalife jersey and captain’s armband front and center. Joining him will be Rooney to left and fellow MLS star Rafael Márquez will be on the right. While Márquez does play for the New York Red Bulls, he will instead be wearing his Mexico national kit. I wonder if that has something to do with Mexico beating the US and Donovan in the CONCACAF Gold Cup finals. While Donovan was the obvious choice, being American and playing in the MLS, I feel that maybe it was time to let Clint “Deuce” Dempsey on the cover, but I’m sure playing in the EPL for Fulham worked against him. Also, if they were set on going with a Red Bull, why not go with Wayne’s brother John, who plays the midfield for them. FIFA 12 comes out in North America on September 27, and September 30th in the rest of the world.